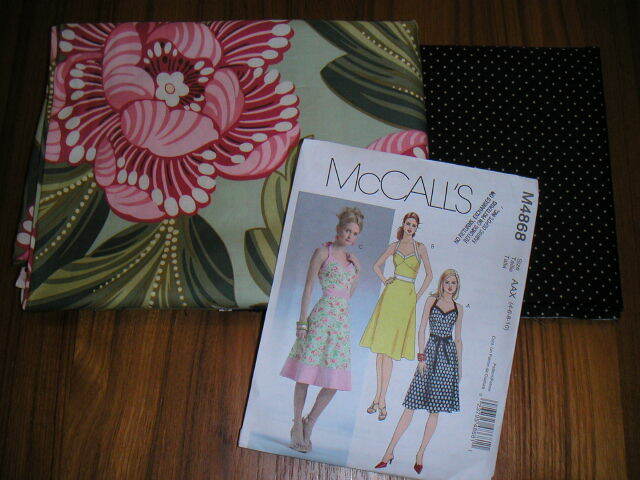 Here are the fabrics I bought over the weekend. The two prints are from the Charm series by Amy Butler. I love how they're both really graphic yet not your typical tropical pattern. There are a great series of fabrics in this line, all in really good colors, like pink, blue, brown, green, and orange. They had an updated retro look. The black polka-dotted fabric is for the contrasting dress trim. After seeing this Trina Turk dress, I started searching for a similar pattern, but couldn't find anything until I read this blog entry on Currently. I am planning to make view B of the dress. 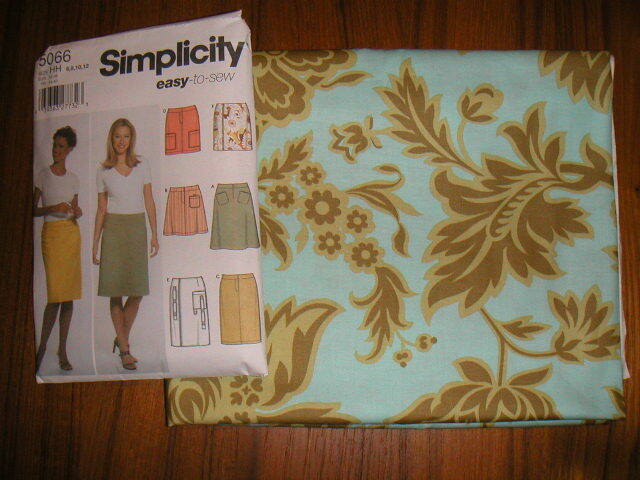 The skirt pattern is one I've used before to make a kiwi green mini. This time I am going to sew up view F with the asymmetrical zipper. I've washed and ironed the fabric. I still need to cut out the patterns too. I'll probably start with the skirt first since that looks to be the quicker project.